The Crown Estate has reached an agreement with Barratt and David Wilson Homes for the sale of land north of Bingham. 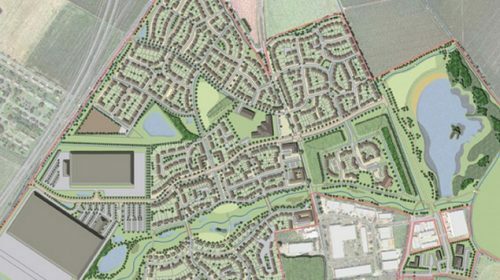 The 225-acre site, which has outline planning permission for 1,050 homes and commercial space, forms part of a substantial extension to the north of the Nottinghamshire town. Savills advised The Crown Estate on the sale and the housebuilder is expected to start on site in 2018. Steve Melligan, Strategic Land Manager at The Crown Estate, said: “Having successfully promoted the site through the planning process, we are looking forward to seeing Barratt and David Wilson Homes take it on, delivering much needed new homes for the local community”. Chris Southgate, Managing Director at Barratt and David Wilson Homes North Midlands, said: “As a five star housebuilder we are delighted to announce that we will be bringing much-needed, quality built homes to the area of Bingham. We have had great success with building new homes across Nottinghamshire in the past and look forward to welcoming residents to our newest development.